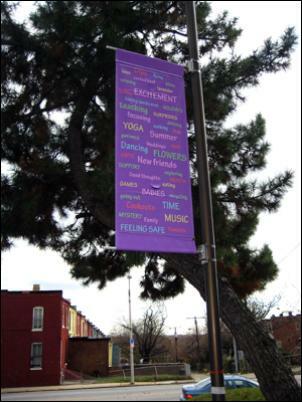 This project is a series of banners created in a multigenerational community arts program I facilitated at Joy Wellness Center (part of Shepherd's Clinic, an inner city health clinic for the uninsured). 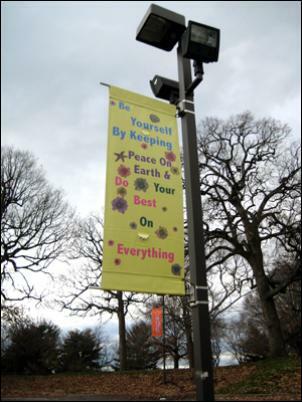 Participants were asked, “What does joy mean to you?” and created banners in response. 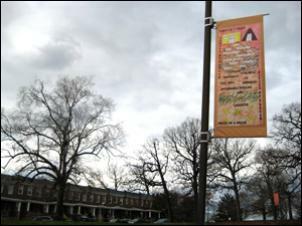 The banners were installed in the parking lot of Joy Wellness Center, 2800 Kirk Avenue, Baltimore, MD 21218. 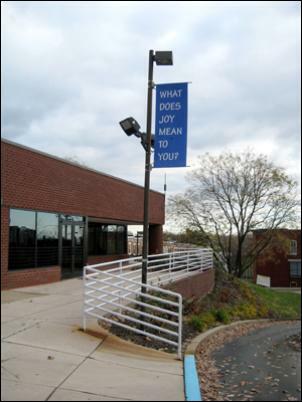 Three of the banners were created by workshop participants and I designed the last two, one of which reiterates the question of what joy means and the other, which incorporates the list of answers to the questions we brainstormed during the workshop. 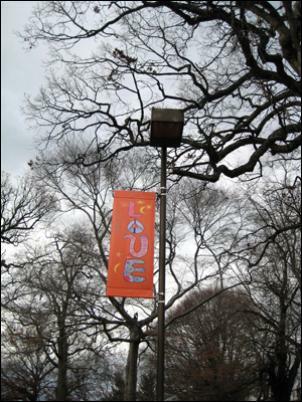 This project was generously funded by Baltimore Office of Promotion and the Arts and Shepherd's Clinic.